This entry was posted in Drug Addiction and tagged dangers of methadone, long-term effects of methadone, methadone, symptoms of methadone on August 29, 2017 by ohr_guest. Methadone is generally considered safe for short-term use, when used properly to prevent withdrawal symptoms from other opiates, but it can still have negative side effects. Methadone is an opioid narcotic drug primarily used for the treatment of withdrawal from other opioid drugs like oxycontin and heroin. It is a long-acting prescription drug that is easy to take. Methadone is also known as a painkiller or analgesic used for the treatment of chronic pain. Often, methadone is the drug of choice partly because it is easily accessible and much cheaper than other prescription painkillers. However, methadone use has its risks and abuse of this drug is common. The high it produces is not the same as heroin, but a user can abuse it and experience the same effects as some other opioid drugs – reduction of anxiety, sedation, and relaxation. This means methadone is potentially harmful, but it provides more good than harm to those who take it. It can be taken safely in high doses and it is quite easy to cut dosages. This is why it is a good alternative for Methadone Maintenance Treatment (MMT). Eliminate cravings for other opioid drugs – primarily, the desired long-term effect of methadone is to eliminate cravings for other opioid drugs. To achieve this effect, medical specialists who give out the drug should carefully monitor its dosage. When starting a long-term treatment with methadone, the dosage is increased incrementally to a certain level where it will become stable over time. With this increase, the patient will develop a tolerance to the drug, which can lessen the incidence of common psychological and physiological effects like altered cognitive function, constipation, nausea, and sedation. Pain reliever – methadone is a potent painkiller, but it should be used correctly and with proper supervision. In MMT, the drug is given to people who suffer addiction from other opioid drugs to prevent withdrawal symptoms. To prevent overdose, the dosages should be managed carefully. Methadone can stay in the body for up to 56 hours, so a fatal overdose can happen when a patient takes another dose too soon. In general, people ask beforehand how long a certain treatment will last. While it is an ordinary query, it is quite a difficult one when it comes to methadone. Some people need to take methadone for weeks; some will stay on it for months; some for years; and some even for life. When methadone treatment is done for a longer period, the possibility of going back to opioid use and addiction is decreased. However, less than one in five methadone users will continue to take it for longer than 10 years. Induction/Acute – during the induction phase of MMT, the dosage will be adjusted until the patient experiences no drug cravings and reaches a certain level of comfort with regard to symptom relief. During this stage, the patient begins joining health programs and counseling while taking methadone. Rehabilitative and Maintenance – after reaching a comfortable and steady dosage, the patient continues to take the dosage daily during the rehabilitative and maintenance stages. After a period of time, upon showing compliance, positive lifestyle changes, and without illicit drug use, the patient may be allowed to increase the total take-home doses weekly. After two years, patients under maintenance treatment can take home month-long doses. Tapering – at any time, patients may start tapering their dosage to quit methadone. However, most doctors recommend at least one year of MMT as longer MMT periods have better treatment results. Tapering may take weeks or months. Methadone is considered a safe treatment for opioid addiction when used alongside therapy and under medical supervision. The drug can keep patients from getting high on other opioid drugs. The ultimate goal of a person who undergoes MMT is to go back to a more normal life. When they start taking methadone with medical supervision, they may gain advantage from substance abuse treatment, educational assistance, and vocational counseling. There are various side effects of methadone use, but some are mostly temporary and go away as the patient adjusts to the treatment. Some of the short-term side effects include irritability, constipation, weight changes, reduced libido, anxiety, changes in a woman’s menstrual cycle, and vision changes. 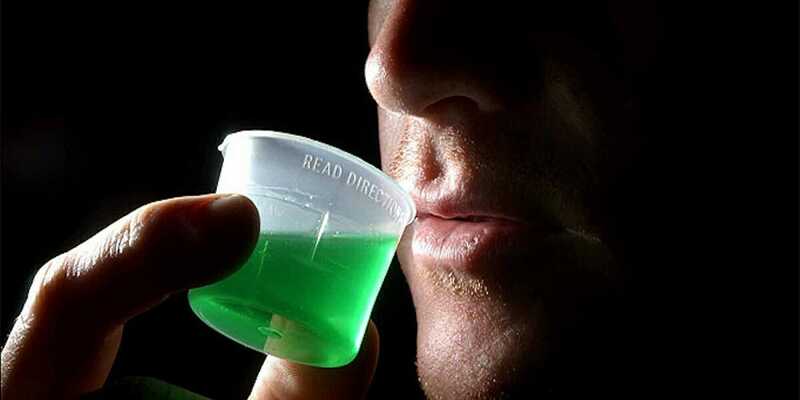 Methadone may also interact with other prescription drugs, but the doctor must check that those drugs are compatible with methadone treatment. Patients with undiagnosed heart ailments may also have an increased risk of cardiac irregularities on methadone. Before starting the treatment, patients must have screening tests. Withdrawing from methadone is a much longer process compared to withdrawing from other opioid drugs because methadone stays longer in the body. Full sobriety from methadone can take a month. After which, they can begin a drug rehabilitation program. An important part of recovery from methadone addiction is a thorough detoxification. The most efficient and safest way to detoxify is to complete it in a hospital or a drug and alcohol rehab. Methadone detoxification is done under a doctor’s supervision to prevent life-threatening risks of withdrawal symptoms. Drug treatment facilities also create a personalized treatment plan for every patient. Both inpatient and outpatient treatments are available.